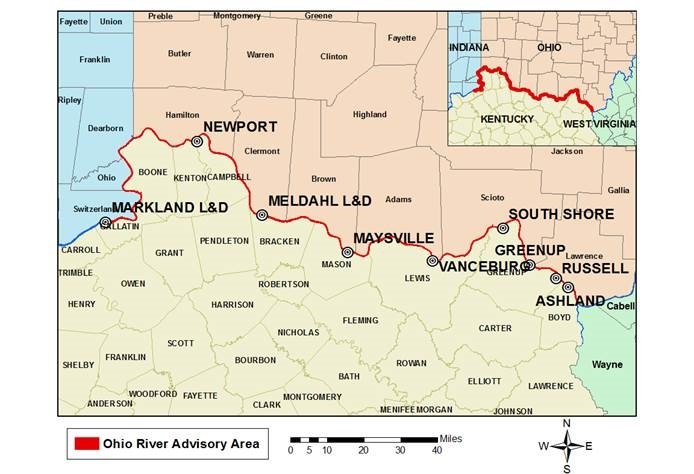 The Kentucky Division of Water (DOW) and the Kentucky Department for Public Health (DPH) are removing the recreational use advisory for the Cannelton and McAlpine pools of the Ohio River, effective immediately. Results from recent samplings by DOW indicate the levels of microcystin toxin occurring in this area of the river are below the advisory threshold for recreating in the water. As warm weather arrives, recreational use of Kentucky’s waterways increases. For the last few years, the U.S. Army Corps of Engineers (USACE) and the Kentucky Division of Water (DOW) have monitored the state’s water for algal blooms. 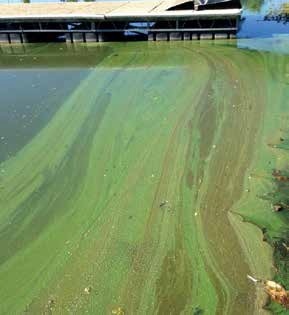 The Kentucky Division of Water (DOW) and the U.S. Army Corps of Engineers (USACE) have confirmed the presence of potentially harmful algal blooms (HABs), or cyanobacteria at levels exceeding recommended safety thresholds at several lakes in Kentucky. These lakes include Barren River Lake, Nolin Reservoir, Green River Lake, Rough River Lake, Taylorsville Lake and Greenbriar Creek Reservoir in Montgomery County. Cell counts at one site at Taylorsville Lake exceeded 1,000,000 cells/ml. The World Health Organization has determined that “moderate probability of experiencing adverse health effects” exists when cyanobacteria cell counts exceed 100,000 cells/ml. The Department of Public Health, the Kentucky Department of Fish and Wildlife, the Department of Parks, and other stakeholders have been informed of these conditions. These lakes remain open to the public. Visitors should be aware of the potential health issues and take precautions. The Kentucky Division of Water (DOW) has confirmed the presence of harmful algal blooms (HABs), or cyanaobacteria, levels exceeding recommended safety thresholds at four lakes in central Kentucky. They include Beaver Lake in Anderson County, Guist Creek Lake in Shelby County, Lake Reba in Madison County and Willisburg Lake in Washington County. The World Health Organization has established a “cautionary” threshold of cyanobacteria cell concentrations at 100,000 cells per milliliter (/ml). The four Kentucky lakes — identified in the table below — were found to exceed this threshold during two rounds of testing by DOW.